I never made a person look bad. They do that themselves. I came across a video this morning that I want to share. It is a PBS produced film called What This Photo Doesn’t Show and delves into the backstory and meaning of the photo shown here, Three Farmers on Their Way to a Dance, taken by the German photographer August Sander in 1914. It’s an a provocative photo, one that provides plenty of material for one to create narratives in their imagination. So, to learn more about the young men and the story behind the photo adds an additional layer of interest. August Sander (1876-1964) was considered the most important German photographer of the of the early 20th century. Sander was widely recognized for a collection of portfolios of his portraits taken over a couple of decades. Titled People of the 20th Century, it contained hundreds of his photos that documented a wide spectrum of the German people of that era, from the working classes to the more privileged classes to the homeless and forsaken. He also produced a book in 1929, Face of Our Time, that contained a group of 60 of these portraits. Under the Nazi regime a few years later, this book was banned and the printing plates for it destroyed. He was allowed to continue working as a photographer but kept under the radar. His son, as a Socialist, was sentenced to ten years in a German prison, where he died in 1944, near the end of his sentence. That same year, 1944, a bombing raid destroyed Sander’s studio, destroying many of his negatives. Two years later, an accidental fire destroyed the remaining archived negatives of his work. It was said there were around 40,000 negatives at that time. Sander basically stopped working as a photographer at that time until his death in 1964. The August Sander Archive, even with the great loss of the fires, contains about 5000 photos and 11,000 negatives. If you have about 9 minutes, take a look at this video. I think you’ll find it interesting and informative. I was listening this morning to the song 20th Century Man from The Kinks. Released in 1971 — don’t do the math, it’s a long time ago– it is a song of a man decrying his existence in a time in which he feels he doesn’t fit. Ray Davies may have felt that he would have been more at home in the 19th century but the odd thing is that the song’s words still fit very well for someone like myself whose life consists of mostly time spent in the 20th century. Even though we’re well into the 21st century– that new century smell has pretty much worn off by now– I am still basically a 20th century man. It struck me that the next generation that is quickly coming of age and into their own will be a group born in the 21st century, never experiencing a second in that distant time. I never gave that a thought before but their time will be spent entirely in a time unlike mine or people of my age. The 20th century might be just a distant thing to them, a source of old people’s memories and dry historic fact. And maybe that’s a good thing. I don’t know. For as pivotal as the 20th was in so many ways, it was mightily flawed and maybe trying to see the world beyond its lenses will be refreshing. Hey, let me hope, okay? So for this Sunday Morning Music here are The Kinks and 20th Century Man. 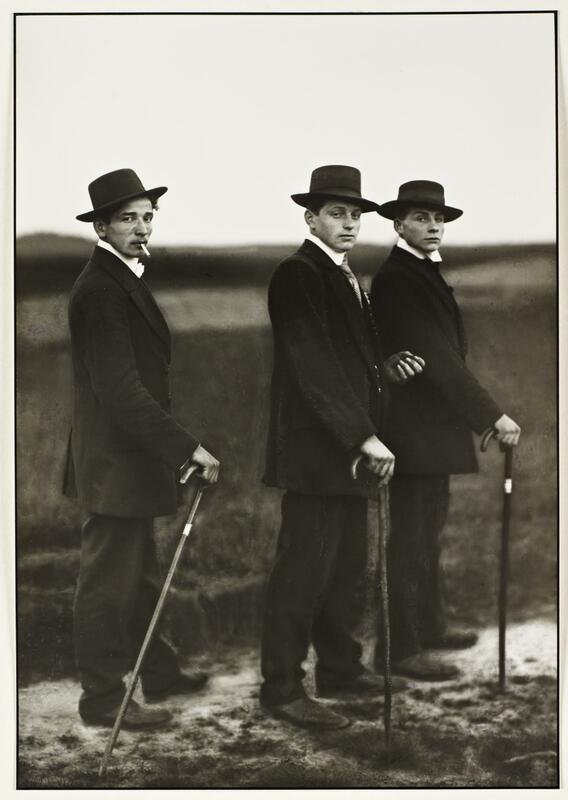 The accompanying photo which jumped off the screen at me is from the great German photographer August Sander who I will be discussing here in the near future.